Aviation Updates Philippines - Low-cost carrier, Cebgo (formerly known as Tigerair Philippines and South East Asian Airlines) has ended operating jet aircraft for its flights in line with its partnership with Cebu Pacific Air. According to ch-aviation, Cebgo formally ended its jet operations after its only remaining Airbus A320-200, registered as RP-C3270, was returned to its parent company Cebu Pacific Air last week. 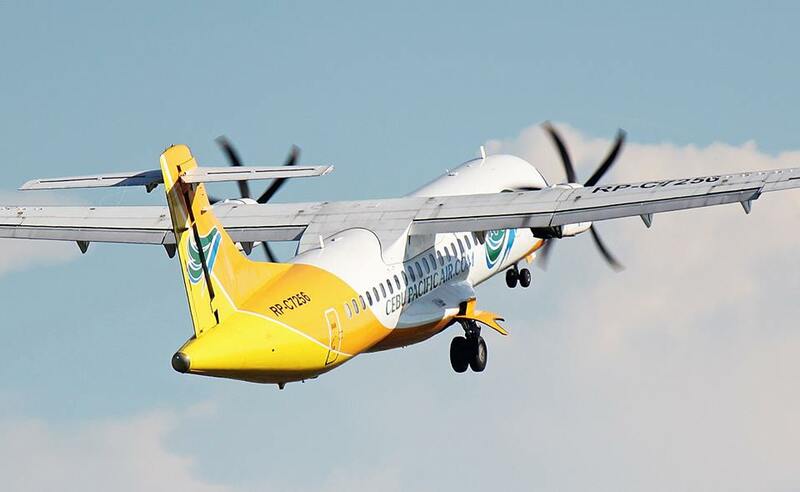 Eight ATR 72-500 originally owned by Cebu Pacific has been transferred or adopted by Cebgo to continue some of CEB's domestic routes starting late-September. Nineteen domestic routes will be transferred to Cebgo while Cebu Pacific awaits its ATR 72-600 orders. Recently, Tigerair Philippines rebranded to Cebgo to strongly signify the partnership of the airline with Cebu Pacific. The new logo of Cebgo uses Cebu Pacific's colours which is blue and green, to further reflect Cebgo's relationship with Cebu Pacific. “The new Cebgo brand clearly identifies us as part of the CEB group, and streamlines our operations further. Cebgo will continue to leverage on CEB’s distribution channels and network, and work together to serve more guests,” Michael Ivan Shau, Cebgo President and Chief Executive Officer said.